David Cooke, CEO, 4C Solutions based in Randaberg, Norway explains why he chooses to work with Isotek. Interview conducted by Judi Barton, Isotek Administrator. JB: David, you have worked in the offshore industry for 30 years. How did you start out? DC: I first got involved with the offshore sector through bacteria. I was working as a bacteriologist investigating the physiology of ear infections affecting divers. We realised that effective treatment was only possible if the divers had access to offshore lab facilities. After a period of working offshore and regular visits to Norway I was offered a job onshore in Norway, working on development projects within the diving sector. Project management became my forte and I qualified in a technical discipline and business administration to underpin my work experience in business management. Over the years I have worked on many big projects with or for Statoil Petroleum and that is how I started working with the Isotek team. JB: There are many contractors involved in these big projects; for example, the last RPRS project involved around 20 companies. Can you outline the memorable qualities that the Isotek team brings to these offshore projects? DC: For a start they have a high level of expertise in a number of engineering disciplines [software, electronics, mechanical] which instils customer confidence. This is imperative when you are running a big project such as the Remote Pipeline Repair System. Your three engineering directors – Robert Boggs, Greg Firth, Trevor Barton – are extremely resilient. They don’t give up until the job is done. This is very comforting for the Project Manager – you know they have professional standards and will meet not only your expectations, but their own. And when they finished the job, everything works fine. Not surprising, but amazing! One of my most memorable Isotek moments occurred during an early FAT on the remote welding tool (RWT). 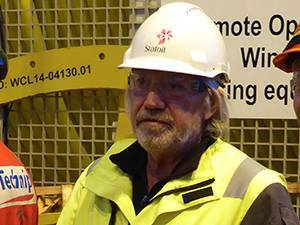 The Statoil inspection team were incredibly impressed during the first demonstration of the tool rotating. We were expecting lots of creaking and stop/starts but it ran unbelievably smoothly. There were many happy faces and smiles of amazement all round that day. I also appreciate the sociability of Isotek people. It does make a difference when you work with nice people; people you are at ease with and can have a meal and friendly chat with at the end of the day. This social element transfers into the working day to enhance team working. JB: David you have been instrumental in setting up 4C Solutions, the design and engineering consortium. Can you explain why 4C Solutions has been formed? DC: When the RPRS project was successfully completed it became obvious that an incredible amount of expertise had been accumulated. I felt that we could harness the experience and skill most efficiently by yoking together the companies who had contributed most. Without compromising each partner’s independence we can leverage the accumulated knowledge and professionalism gained from working on the RPRS project. 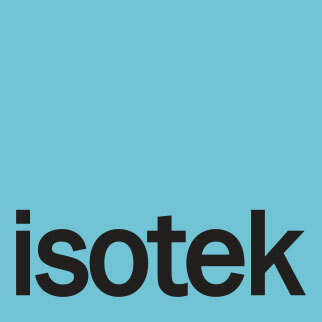 In my view Isotek is an irreplaceable part of 4C Solutions.